What a crazy week we had! For the one day 4k was here, it was a great day! We had our last guidance lesson with Mrs. Mundigler on who we can tell if someone is making us feel uncomfortable. 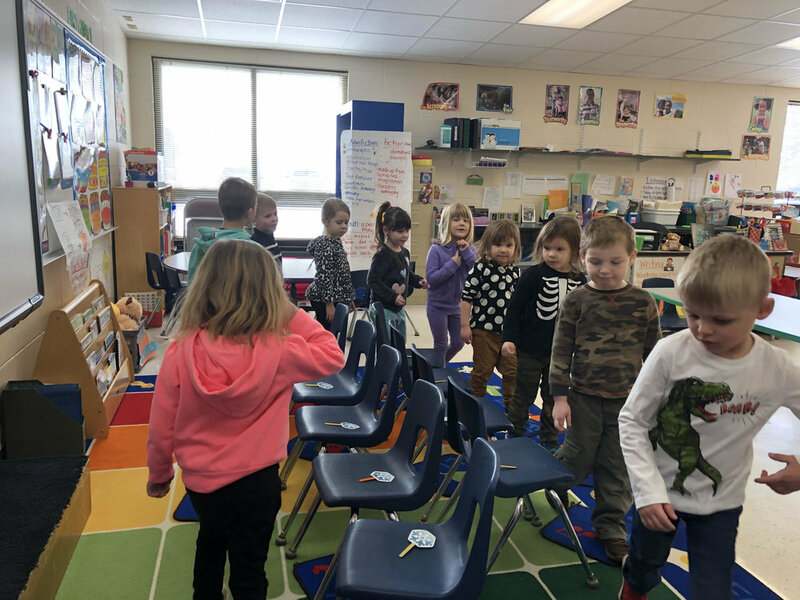 We also played lowercase letter musical chairs, which was so much fun! The kids had to name the lowercase letter that was on the chair they sat on. Next week we will get to all of the things we had planned to do this week. We will be learning the letter Dd again, and we did not do Second Step last week, so next week we will learn how to manage waiting. 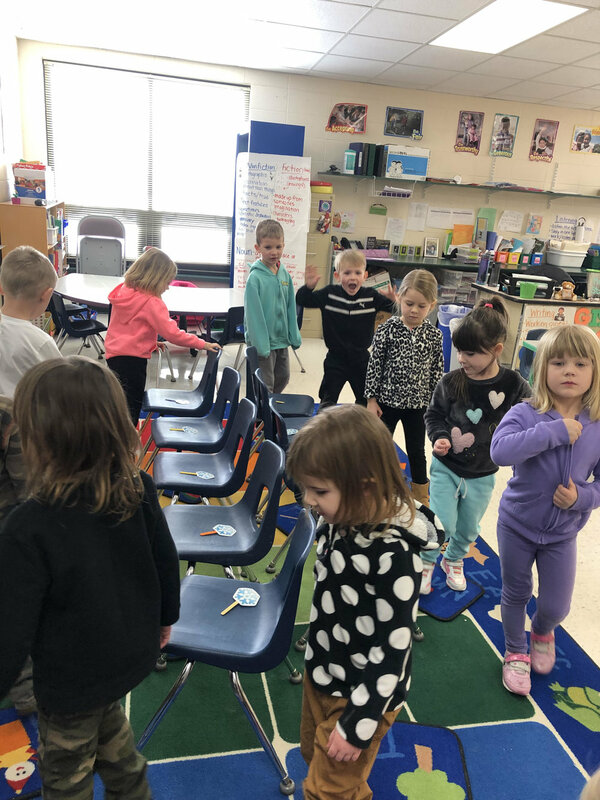 We will be making a shaving cream snowman, finish our snowman adventure book that practices positional words, work on one to one correspondence with numbers 5-20, and make a shape book. Remember that Wednesday, February 6th is our all day 4k. I sent home a schedule last week. Please remember to pack a bag lunch to eat at school. Milk will be provided. You can also send a water bottle with your child if you’d like. Let me know if you have any other questions, otherwise we’ll see most of you at 8:40 Wednesday morning.